has been a Director representing Madison County since 2005. 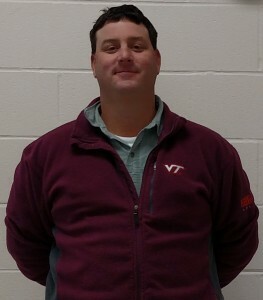 Mr. Graves graduated from Virginia Tech in 1995 and was a member of the National Agricultural Fraternity, Alpha Gamma Rho. He has been a member of the Virginia Apple Growers Association Board and is currently the chairman of the Virginia State Apple Board. He also is serving on the Virginia Agribusiness Council Board and was the chairman in 2016. Mr. Graves and his family own and operate Graves Mountain Lodge and Farm, which is located on the Rose River. The Lodge consists of 55 motel rooms and 15 cabins, and the farm consists of crop fields, pasture for 100 head of cattle and 70 acres of apple orchards. Also a cannery is operated by the Graves family which produces jams and jellies, and apple cider, along with the favorite apple butter. The Graves Mountain hosts numerous festivals during the year, Music Festival, Apple Festival, Heritage Day (Fishing for kids) and more. The Farm does school tours for 7,000 school children annually to promote agriculture. For the past 16 years the Farm has also run aquatic programs that teach children about watersheds, rivers and ponds. Mr. Graves and his wife, Tricia have 2 children, Amelia and Cole. The Graves family have been living in the Syria area for over 5 generations. was elected as a Greene County Director in November 2015 and began his term on January 1, 2016. He has been married to Sandra since 2006. He graduated from West Virginia University in 1964 with a degree in Civil Engineering. After serving in the US Navy he joined the Navy Oceanographic Service conducting hydrographic surveys of shorelines if locations around the Pacific and Atlantic Oceans for military operations. He also served as civil engineer with USDA Soil Conservation Service for three years building large earthen dams under Public Law 566. In 1970 he became manager of the Great Lakes Water Measurement Program and the National Tidal Network at NOAA. After several positions and 21 years of service, Mr. Morris retired from NOAA in 1997. He has gained great insight into the agriculture world by visiting his wife’s family, who farm 1500 acres in central Ohio. Mr. Morris was appointed Vice-Chair on July 5, 2017.
was born and raised in Culpeper and graduated from Culpeper County High School in 1963. He received a degree in engineering from Virginia Tech. He owns Glengary Tree Farm in Rixeyville. The farm was originally a cow/calf operation but, under the advice of his father, he started planting Christmas trees in 1978. Mr. & Mrs. O’Halloran have a son and a daughter plus 4 grandchildren and is expecting his first great grandchild. His hobbies include motorcycle riding and reading. 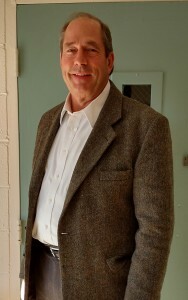 He is chairman of the Ag/Forestal Advisory Committee and is a member of the Culpeper County Economic Advisory Committee. He is on the Extension Leadership Council and is a director of the Virginia Farm Direct Marketing Association, past president of the Virginia Christmas Tree Growers Association and past director of the National Christmas Tree Growers Association. In 2002, the State Capitol Christmas tree at the Governor’s mansion was from Glengary. In 2011, Mr. O’Halloran was appointed to represent CSWCD on the Rappahannock River Basin Commission and in 2016 was appointed to its Executive Council. was appointed to fill the unexpired term of Mike Peterson in December 2016, representing Rappahannock County. Twenty-three years ago, Mike Binie k and Susan Hoffman left their urban life to fulfill their dream of creating a model community for sustainable living. Belle Meade has grown into what it is today because of their flexible, nurturing patience as they developed the different components of their holistic vision. Mike, B.S. in Biology, is a lifelong student of nature and wildlife. He practices his ideology of creating a more sustainable, healthy planet as he cares for the animals, plants, and community of Belle Meade. Mike also serves Rappahannock County as a member of the Planning Commission. was elected a Director representing Orange County in 1996 after serving as an Associate Director for three years. He lives in Orange County with his wife Virginia and his daughter Stella. He owns and operates a beef cattle operation and has been a building contractor specializing in renovations. He is very supportive of BMPs and water quality and has an active roof water collection system on his farm. Mr. Bradford’s activity as Director includes Technical Committee Chair. grew up on a working farm in Western Kentucky. His father was an early supporter of land conservation and promoter of wildlife habitat. The family regularly watched and listened to the Bobwhites in the Spring and Whip-poor-wills in the evenings. 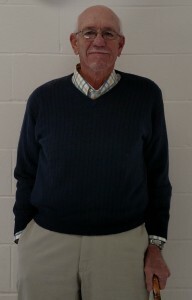 Mr. Brame was elected a Greene County Director in 2007 and 2011. In 2014, after practicing law in Richmond, Washington and Charlottesville for 47 years, Bob and his wife, Jane, traded family land in Kentucky for Jordan Farm in Orange County. 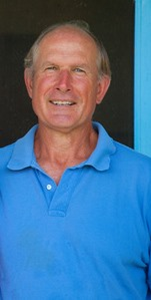 Bob was elected an Orange director in 2015. He has worked closely with the Culpeper S&WCB staff and NRCS to implement various conservation practices, including stream fencing, cattle waterers, eradication of invasives and planting wildlife cover. Neither the quail nor whip-poor-wills have yet returned but he and his family remain hopeful their 9 grandchildren will enjoy the same wildlife sights and sounds as their grandparents. served as a Director representing Madison County from 1994 to December 2011. He is retired from the USDA Forest Service, having worked in all 33 eastern states and Puerto Rico. Mr. Byrne spent five years as a Soil Scientist, five years as Watershed Manager, four years as an Ecologist, eight years in Forest Resource Planning, and eight years as Air Resources Manager. He served as District Chairman for three years. He owns and operates a cow-calf beef operation in Madison County. He is active with watershed issues on the Rappahannock River Basin Commission and served as Chairman of the Rappahannock Conservation Council. He is currently the Past President of the Virginia Association of Soil and Water Conservation Districts and is a member of the Madison County Task Force for Sustainable Development. 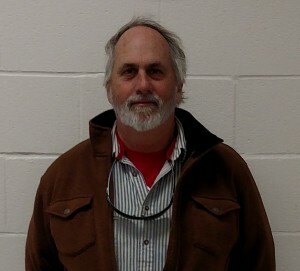 Mr. Byrne received the 1998 Watershed Connections Award from the Virginia Association of Soil and Water Conservation Districts for his outstanding commitments to watershed management issues in the Rappahannock River Basin. Mr. Byrne became an Associate Director in January 2012.
began his term as an elected Director representing Culpeper County in January 2012. Andrew was raised in Culpeper on Croftburn Farm. While growing up he was active in 4-H and helped on his family’s black angus and sheep farm. He received a Bachelor’s degree in American Studies and Economics from Vanderbilt University in Nashville, TN. After college he worked in a law firm as well as teaching skiing in Colorado before returning to Culpeper. He owns and operates Croftburn Market, a local butcher shop where he makes sausages and sells meats. He enjoys participating in triathlons. Mrs. Campbell was an elected Director from 1990 through 2011, serving on several committees. Though now ‘retired’, she ran long-established herd of Black Angus cattle, as well as sheep, at Croftburn Farm in Culpeper County. Her daughters Meg and Desy carry on the tradition. Mrs. Campbell received a BA from Smith College and an MLS from Villanova University. She studied botany at The Barnes Arboretum and The Morris Arboretum. For a long while, as a resident of Radnor Township, Pennsylvania, she was active in the League of Women Voters, as well as, for a short while, in Culpeper County. She was a member of the local Culpeper Farm Bureau and a group called The Young Farmers. Her interests include trees, open space, farming and land use. Laura is also an avid traveler, photographer, and gardener. Laura Campbell served at the Culpeper Library with Miss Crimora Waite on a long-time regular basis, using her Master’s in Library Science skills and giving our small town public library a boost in status of credibility. Locally, in 1998, she received the Northern District Outstanding Forage Producer Award in Culpeper County. In April of 2005, she became a “Culpeper Colonel” recognition Culpeper County Citizen Service Award from the Culpeper County Board of Supervisors. The following year, 2006, Mrs. Campbell was recognized by the Virginia Association of Soil & Water Conservation Districts with the Watershed Connections Award. In 2010, the Culpeper County Chamber of Commerce presented the Agribusiness Award to the Campbell family. Mrs. Campbell became an Associate Director of the Culpeper Soil and Water Conservation District Board in January 2012.
was elected as a Director representing Madison County in 2015. He previously served as Associate Director for Madison County. Prior to moving to Madison County in 2013, Dr. Hill owned and operated a cow/calf operation in Orange County, which he currently rents to a natural beef producer. He runs a graze 300+ cow/calf operation on his Madison farm. He established clean water and forest best management practices on both farms. Dr. Hill earned a Master of Public Policy degree from the University of Michigan and a Ph.D. from the University of Maryland. Brad Jarvis is the Extension Agent, Agriculture for Virginia Cooperative Extension in Madison County. He received his degrees in Animal Science and Extension Education from Virginia Tech in 1987. Over his 30 year Extension career, he has worked with farmers, agri-business and community leaders to disseminate researched based information and developed educational programs in agricultural production and sustainability with an emphasis on nutrient management planning, cover crops, integrated pest management, commercial fruit production, forage production, local food systems and community strategic planning. Mr. Jarvis is a member of the Madison Young Farmers, Madison Farm Bureau Board, Virginia Forage and Grassland Council, Central Virginia Cattlemen Association and National Association of County Agriculture Agents. Effective January 3, 2017 Brad serves as an Associate Director on the Culpeper SWCD Board. was appointed an Associate Director representing Orange County in 2002. He grew up on a wheat and cattle ranch in Montana. He earned his degree in agricultural engineering at Montana State University in Bozeman, and spent his entire career in the field of resource conservation, holding NRCS positions in Montana, Washington State, Colorado and Hawaii. In 1993 Lee moved to Washington, D.C. to become the Director of the Conservation Operations Division. In the mid 90’s he was appointed to head a team to develop wetlands policy. The Wetland team was later combined with the Watershed Division, which Lee directed for three years. When Congress passed the National Drought Policy Act, Lee traded his flood-fighting responsibilities to become the National Drought Policy Coordinator and the Director of the Resource Inventory Division. Lee retired in 2001 and lives with his wife Barbara in the Lake of the Woods community in Orange County. He enjoys spending time with the grandchildren and on the golf course with his golfing buddies. was appointed as an Associate Director in 2006 and became an appointed At-Large Director in December 2013. He was born and raised in Greene County and graduated from William Monroe High School in 1966. From 1974-1990 he worked in quality control on the construction of nuclear power plants. From 1991-2009 he raised beef cattle on 165 acres. All of the streams on the farm are fenced out from livestock and some acres are in CREP. He received the 2000 Bay Friendly Farm Award from CSWCD. His farm is now used for hay production. Mr. Morris and his wife, Sharon, have one daughter. In his spare time he enjoys hunting, fishing, golf and muscle car restoration. Mr. Morris was appointed to represent CSWCD on the Rivanna River Basin Commission. was appointed as an Associate Director in 2002 and became a Director representing Rappahannock County in February 2003. 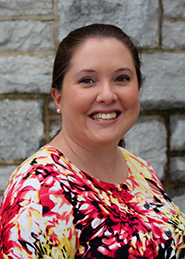 She has since been reelected to continue to represent Rappahannock County on the Board of Directors. Since 1987 Dr. Rifaat has owned and operated a cow/calf operation on Manor Farm in the foothills of the Blue Ridge Mountains, Sperryville, VA. The Cattle are managed by a rotational grazing program and a healthful health program based on strict grass grazing. Manor Farm has completed several conservation projects protecting most of the streams on the farm with stream fencing and the planting of hardwood buffers. The entire farm is placed in a conservation easement with the Virginia outdoor Foundation. The Culpeper SWCD recognized the conservation practices on Manor Farm in 1992 by presenting Dr. Rifaat with the Clean Water Farm Award. Dr. Rifaat is the chair of the Legislative Committee and has served as Chair of the District and Area II. was elected Director representing Greene County in 2001. He resides on and operates the Greene County farm that has been in his family for over 200 years. He graduated from James Madison University with a BS in Social Studies Education and was a teacher for 31 years. Mr. Runkle was on the committee which prepared the original Greene County Comprehensive Plan, served on the Planning Commission, has been on the Board of Zoning Appeals since 1993, and is a member of the Greene County Farm Bureau Board of Directors. He won a conservation award from the CSWCD in the 1980’s and has employed numerous conservation practices on his grazing land over the years. Mr. Runkle and his wife Janet have two daughters. His hobbies include travel and reading. 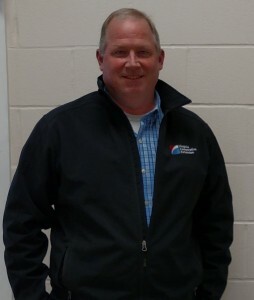 Mr. Runkle serves as Chair of the Personnel Committee. joined the CSWCD Board as an Associate Director in July 2016 and assumed the role of the Appointed Extension Agent Board member in January 2017. She currently serves as the Greene County Agriculture and Natural Resources Agent with a focus in local foods and horticulture. Sarah grew up in Madison County on her family’s pork, beef, hay, and row crop farm. She is very passionate about helping producers start businesses and break into the local foods movement as well as helping to educate consumers about how food is grown and the production methods utilized. Sarah lives in Louisa County with her husband, daughter, and two dogs.